D-Bug Inc. paints foundation walls whatever color the customers select. Both interior and/or exterior walls may be painted. First, all necessary preparations need to be completed. For example, all cracks would be caulked, peeling paint would be scraped, etc.D-Bug Waterproofing also re-points brick and stone work. Deteriorated mortar joints are ground out and re-pointed with new mortar. Power spraying and a masonry sealer completes the job. The majority of the time, it is chimneys that are in need of re-pointing. Also, if a chimney cap is needed, D-Bug Waterproofing can do the job.D-bug Waterproofing also installs structo glass on foundation walls in basements. It wipes easily, therefore giving basements a clean appearance. Structo glass has sealed joints and corners giving it a durable finish, furthermore, it doesn’t need painted. D-Bug Inc. also installs glass block windows. 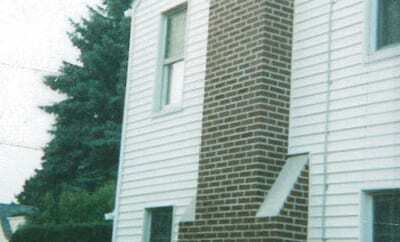 Customers may choose a glass block window, in just about any size, with or without a vent. Glass block windows are usually cemented into place (new window wells may be installed if needed). They can be installed in any type of foundation: concrete block, stone, or poured cement.